This week in the NFL we have all of the games covered. This is the time of the year when every game is a must win and several teams have already packed it in for the season. The best sports bettors know which teams are worth betting and which teams should be avoided. Since that can be difficult we have everything that you need to win money betting on the NFL. Here is our NFL pick against the spread and Chargers vs Steelers predictions. Before making your Chargers vs Steelers predictions make sure to check out the great sports betting bonuses that are up for grabs at MyBookie. Open an account and bet on the week 13 NFL games and get your share of big bonus money and get paid for picking winners! 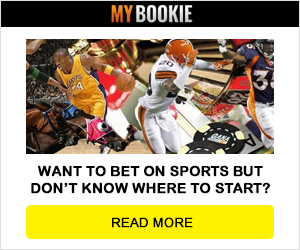 Sign up today and see why MyBookie is the best sportsbook to bet on the NFL! Bet on football and make your Week 13 NFL Picks and get paid to pick winners! This is going to be the best Sunday night football game of the year. It should have a playoff like atmosphere to it. The Chargers are off a huge win. Now have to try and win this game without the services of running back Melvin Gordon. The Steelers are off a loss and quarterback Ben Roethlisberger talked about his teammates all week in the media which could make for a big distraction leading up to game time. The Chargers do not match up well with this team. They are 2-5 ATS in the last 7 meetings in Pittsburgh and 3-8 ATS in the last 11 meetings overall. Big Ben will throw to Antonio Brown early and often to make sure that his star player gets the credit that he deserves. The Steelers are 6-0 ATS in their last 6 games following a straight up loss and 5-1-1 ATS in their last 7 games overall. The Steelers pull away late for the win and cover in this big game.